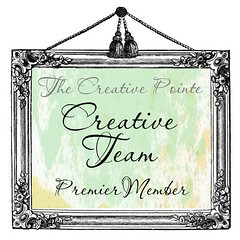 Here is one way to use up some more of the canary colored card stock…make a tutorial with it. These are the instructions on how to score and fold THIS CARD. 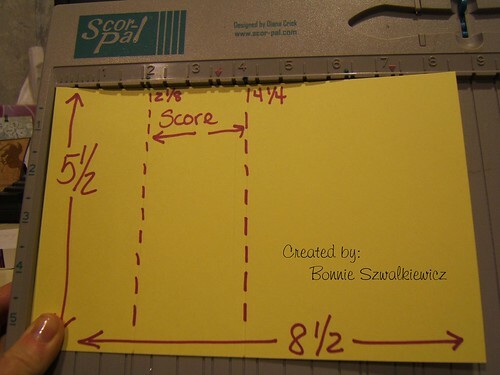 Next make the score’s for the pop up that will be in the middle of the card. 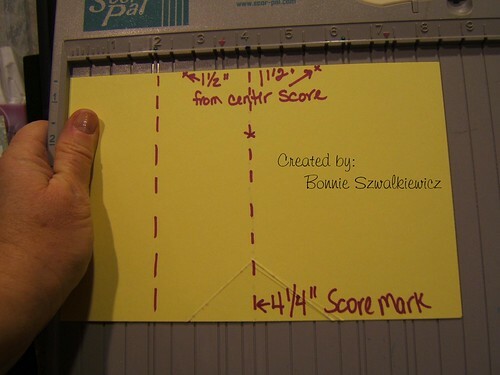 On the center fold score (4 1/2″) measure 1 1/2″ HORIZONTALLY to the left of center and put a small pencil mark. 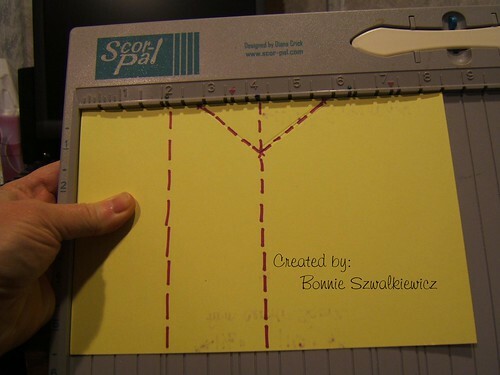 Now from the same center line measure 1 1/2″ HORIZONTALLY to the right, placing another small pencil mark. 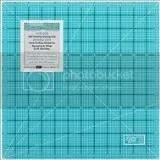 Now on the center measure 1 1/2″ VERTICALLY down from the top edge and right on the center line, placing a pencil mark. Using your score tools, add two score marks as shown to form a triangle. 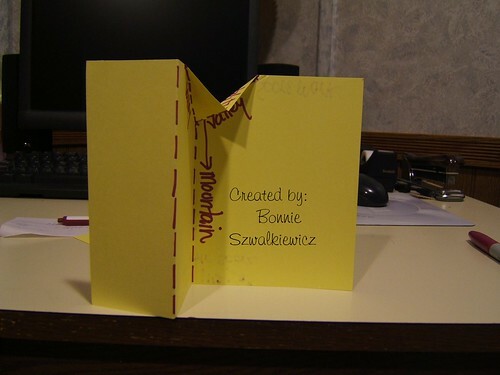 Fold the card in half to make a standard greeting card then reopen. push the center fold forward and pinch and hold the other triangle creases to create a V fold as pictured. The last fold is at the 2 1/8″ mark, fold as shown. Fab tutorial Bonnie. Can’t wait to give this a try! Beautiful cards, I love them! I have enjoyed making cards for the past 19 years. I tried to give it up once but I can’t seem to go very long without paper crafting. I love it too much!